Grief is particularly difficult during the Holidays following the loss of a loved one. The Kenneth H. Pollard Funeral Home Memorial Service is celebrated in November every year. This Service seems to ease some of the angst and the sense of feeling alone. Some of our families and others, coping with the empty chair at Thanksgiving, or the stocking that no longer hangs on the mantle, receive some comfort by joining us for this annual Service. 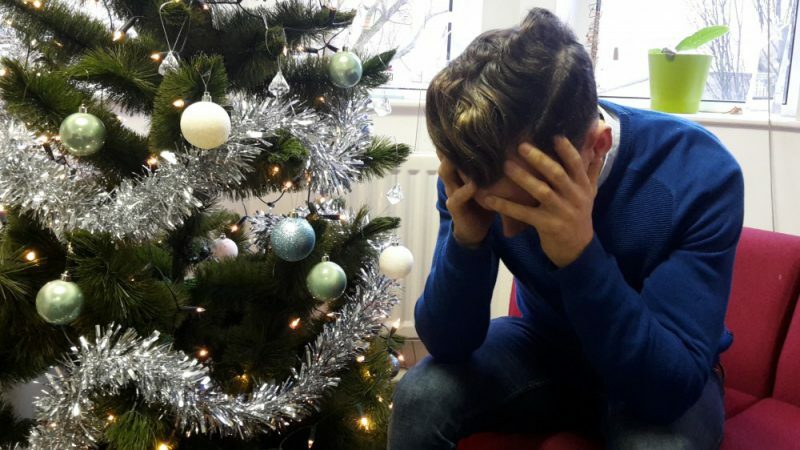 Coping with loss can be a devastating prospect during the holiday season. Mourning, during what was once a festive time of the year can affect entire families all at the same time. Yet our grief is also specifically individualized. Effective coping strategies while dealing with loss during the holidays, can include planning ahead. Be sure to set realistic goals and expectations for yourself. It is important to surround yourself with people that love you and that you love and trust to support you during this difficult time. Allow yourself to express your feelings. Talk to those that support you about the range of emotions that you are experiencing. Include [ the deceased’s name] in conversation. This will make it easier for others to talk about your loved one as well. Be sure to give yourself permission to feel joy, sadness, and even anger. It is important to allow yourself to grieve. Try to avoid cancelling your holiday plans. But if you must spend time alone, by all means take all the time you need. Try to avoid a drastic reduction of involvement in the things that you have always enjoyed in the past. Holidays are time spent with loved ones. These milestones represent meaningful moments and are imprinted on our psyche from childhood. Though difficult, meaningful moments can still be created. Sometimes it can help to create new traditions and memories. Develop a memorable moment in honor of the loved one lost. Find someone you can help. Volunteer at a soup kitchen, a homeless shelter or donate time to a local animal shelter. Some survivors of loss have found it helpful to do many of the same celebrations…but do it differently. Most importantly, be patient with yourself. Allow yourself extra time to accomplish things. Prepare to do the best you are able for this year. Look forward to what lies ahead. Remind yourself that next year it will hurt a little less. Acknowledge that wherever you are in your grief process, there is the possibility of new life. Take comfort in knowing the next special occasion, anniversary or holiday that comes around, you will be a little bit more prepared. You will have a little more control. You will find it is a little less painful and that you will find things a little less difficult. Embrace the hope that you will begin to celebrate life again…one day at a time.